Auckland is one of the few cities where you can jump on a boat and be on and be on an island withing 30 minutes. This close proximity and specatular vista makes it perfect for exploring. Whether it's surfing, wineries, whale watching or fishing, the Hauraki Gulf has it all. Gather your friends, take a couple of ferry rides around the islands or, even better, find someone with a boat to help you explore the best things to do on the Hauraki Gulf. 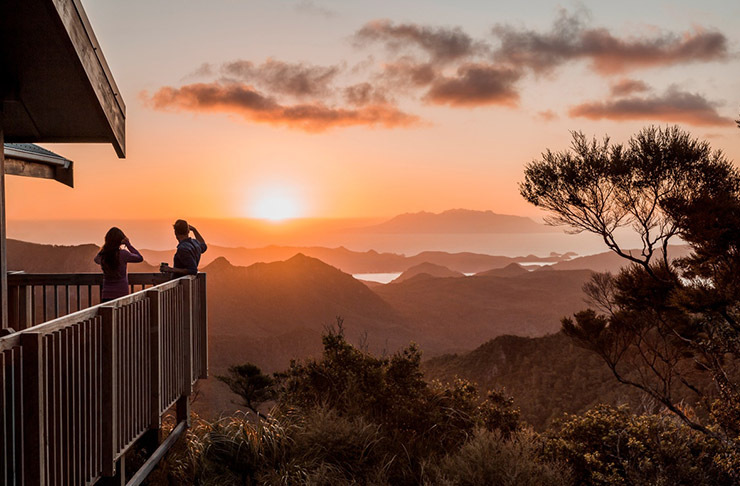 Great Barrier Island is the biggest islands in the Hauraki Gulf, with some of the best surf spots and white sand beaches around the Medlands. If you’re up for an adventure, then take your mountain bike over with you because there are plenty of trails to be explored. In summer, take the car ferry and camp on the ocean side, where you can catch some early morning waves as well as some big ones at the best fishing spots. If you’re more of a hiker, there’s the famous Kauri trail walk to do. Don't miss the hike towards the Mt. Hobson summit during sunrise. While it may not be the easiest, you'll enjoy jaw-dropping views. 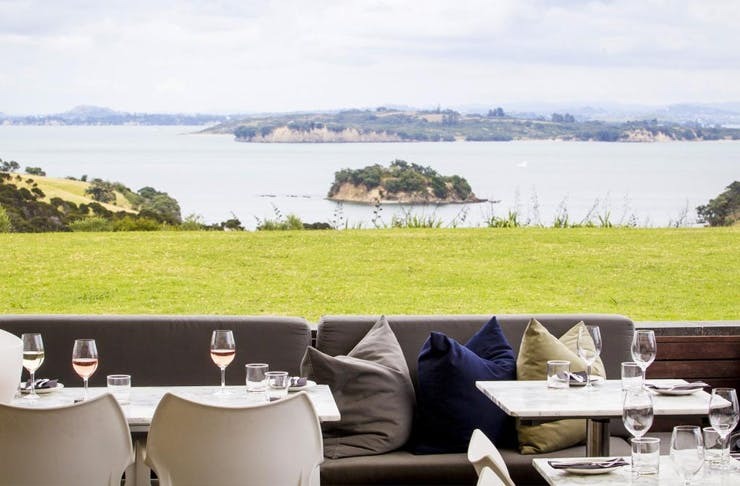 When Lonely Planet ranked Waiheke Island the fifth best region in the world, tourists started to take notice—and it’s with good reason that this island gets a good rap. Known for its plentiful wineries, it’s much too difficult to just choose one for the day. We recommend booking in a winery tour to try a few or, we have a list on the best wineries in Waiheke Island. Even if you’re not the biggest fan of wine, Waiheke Island is still a destination that must be conquered. From their sculpture walks, bespoke cafes such as The Annex and stunning beaches a day on Waiheke is the go-to destination for some relaxing island time. Just a few hours away from the grand and renowned Rangitoto Island is this hidden gem, Motutapu Island. It is one of the oldest islands in the Hauraki Gulf, which previously served as a base during WWII. Approximately a three-hour walk from Rangitoto, Motutapu provides a more scenic experience of vibrant, green hills and fresh breeze which makes it the perfect spot for camping. Head on over to Home Bay where you can pitch a tent right by the beach and watch the sunset along with the calm and serene sounds of the water gently cascading up and down the sand. What used to be closed to the public, previously serving as an alcohol and drug rehabilitation island, is now accessible to the public as an arts, heritage and conservative estate. A day trip filled with activities including the award-winning museum, walking trails, a sculpture trail and heritage buildings including the school house and jail are just a few of many things Rotoroa Island has to offer. If you’re in luck, you can even spot the rare Brown Teal, otherwise known as pāteke which can only be found in a handful of places around New Zealand. This island is an open sanctuary, where protection is ensured for the native wildlife and endangered birds of New Zealand. Tiritiri Matangi is one island for a wildlife lesson with supporters publishing a biodiversity plan and visitors even have the opportunity to learn the basics of bird calling. It’s also home of the Takahe, the flightless bird that has clung to existence and become a New Zealand icon for being a survivor. Birdwatchers come from all over the world to check out the infamous birdlife—so now you’ve got no excuse not to have visited. Kawau Island is a jewel in the Hauraki Gulf, with crystal clear waters and historic buildings. The infamous Mansion House resides on Kawau Island, previously owned by one of the most controversial political figures, Sir George Grey. The mansion is a two-storey, thirty-bedroom guest house and we can’t help but link the ambience of this house to the one in the Hollywood hit film, The Notebook. The huge scale somehow has an element of humility with the classiness and simplicity of the design. What was once the location of New Zealand royalty is now an open hot spot for boaties and visitors. If you’re lucky enough to visit by private boat you can explore broken islands surrounding Kawau as well. This is a given for tourists visiting, but we guarantee most Aucklanders are yet to walk to the top, despite most of us looking at it every single day. 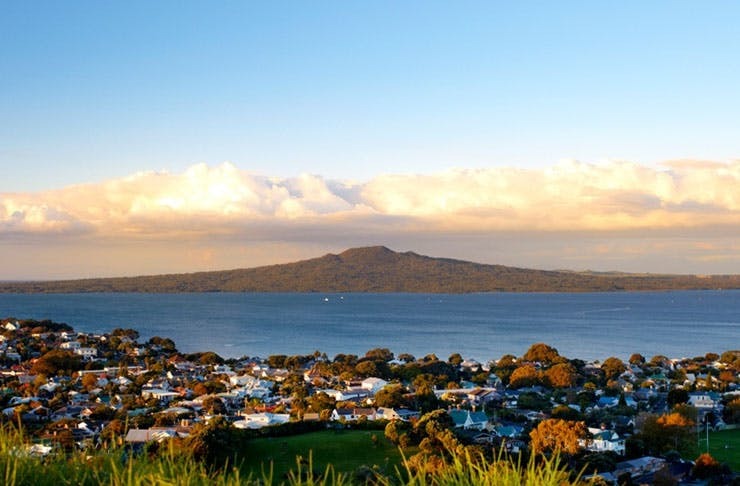 Make it happen—catch a ferry to Rangitoto, pack a picnic and hike up the darn thing. Take a day trip on a four-and-a-half hour nature cruise, where you will be playing eye spy for whales and dolphins. The cruise works with universities and conservation groups who conduct research aboard, so who knows, you may even learn a thing or two. Motuihe Island is a quick 30-minute ferry ride from Auckland CBD, and is known to have some of the best sandy beaches in the Hauraki Gulf. With rock pools, clear waters and sheltered anchorage spots for boats, the island is popular for visitors. What was once a quarantine station, prisoner of war camp and naval training place is now a favourite destination amongst Aucklanders for some much needed downtime. There are also restoration guided walks available in the summer season on the 1st, 3rd and 5th Sunday of each calendar month. There’s even a café open over the summer months so you can cool off with a scoop of ice cream. If isolation and seclusion is what you’re after, look no further than Rakino Island. This island is home to only 16 permanent residents and they pride themselves in the conservation of this beauty so be sure to show you utmost respect when visiting. It’s definitely one of the islands that is better accessed by private boat, with plenty of bays to anchor off and a better chance at finding a secluded beach to yourself. Snorkelling is also a favourite activity amongst Rakino locals as the crystal clear waters allow you to see some of the best marine life. It’s also renowned for its fishing channel between Rakino and Motutapu so you can catch some dinner for the family.